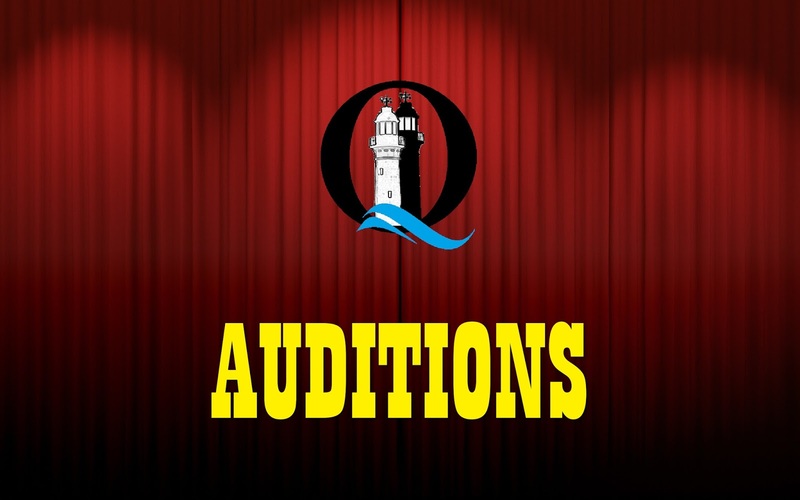 Auditions for our January production of The Little Mermaid will be held at the Queenscliff RSL, on the corner of King and Hesse St, from 7:00pm on Monday October 29 for adults, and from 10:00am on Sunday November 4 for children. To book an audition time please contact Laura Perry on 0416 150 642. 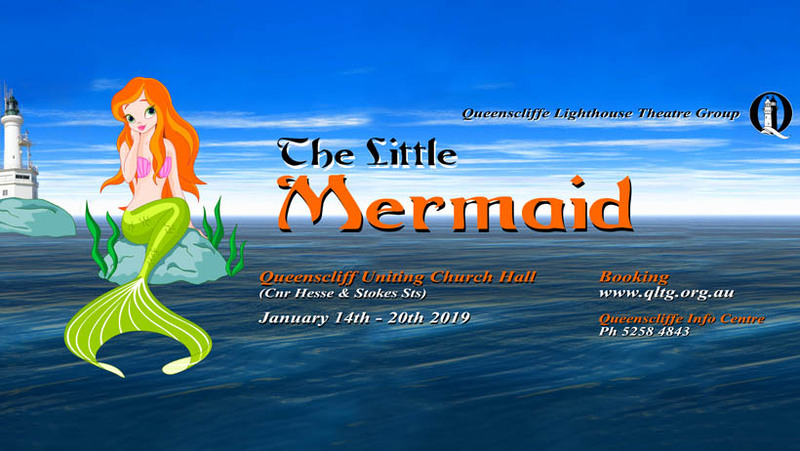 The Little Mermaid will be staged at the Queenscliff Uniting Church Hall during the January school holidays, with performances at 10:30am and 1:30pm each day between Monday January 14th and Sunday January 20th, with an additional 7:30pm performance on Friday January 18th. All cast must be available for all production dates, and each evening through the production week commencing January 6th. Cast should advise of any unavailability through the rehearsal period during the audition process. All participants must be financial members of QLTG - this applies to both onstage and offstage roles. Memberships will be collected at the auditions above, and at first rehearsal. Queenscliffe Lighthouse Theatre Group is proud to announce our January 2019 show! 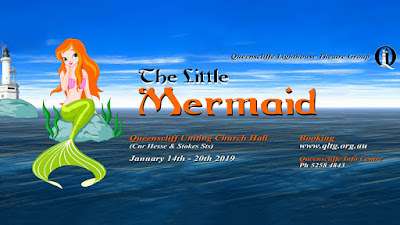 The Little Mermaid will be staged at the Queenscliff Uniting Church Hall between January 14th and 20th. Tickets will be available soon after the conclusion of our current production of Dinkum Assorted from the Buy Tickets page on this website. In the meantime you can purchase tickets for Dinkum Assorted from this page. 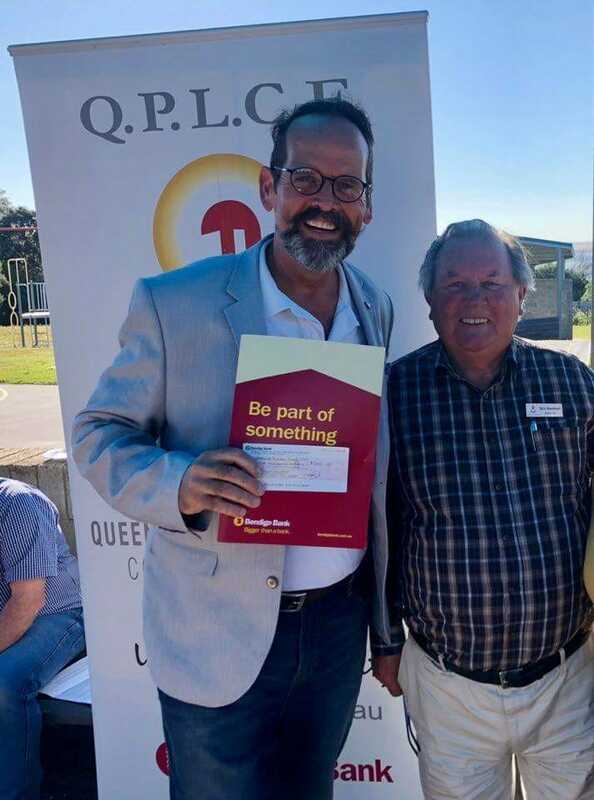 To keep up with the latest news on The Little Mermaid you can subscribe to our qltg.org.au news feed or follow us on Facebook, Twitter or Instagram by following the instructions here. Dinkum Assorted - On Now! QLTG's Dinkum Assorted opened last night to an enthusiastic audience at Queenscliff Uniting Church. 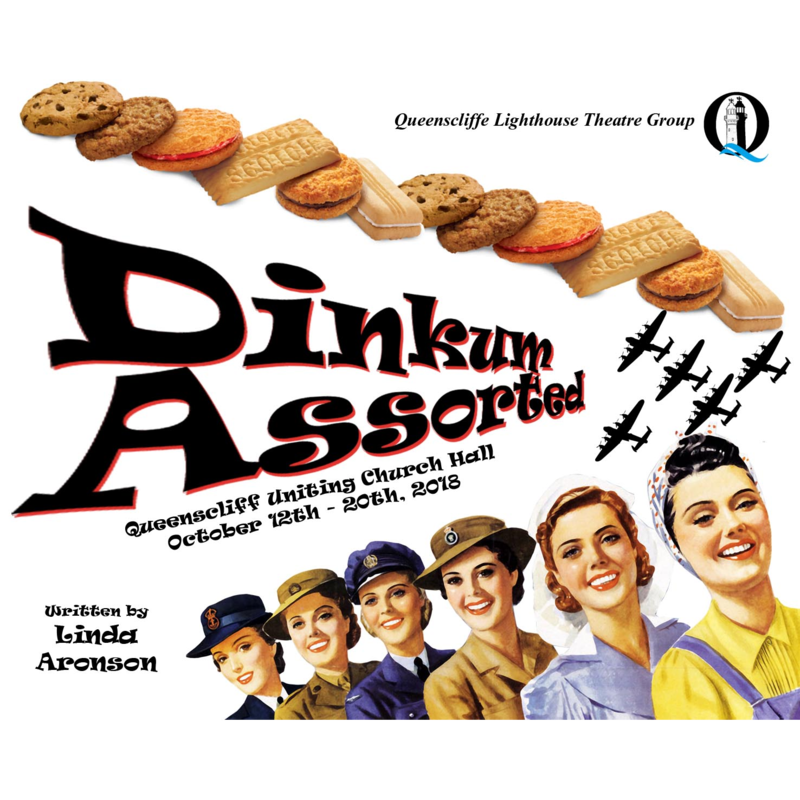 Probably the only play in the world written for a cast of fifteen women and a nanny goat, Dinkum Assorted by Linda Aronson is a wild comedy with music and tap dancing, set alongside some thought-provoking stories about women striving for personal and professional freedom. Set during the wartime spring of 1942 in the remote outback town of Warrabadanga, the female workers at the Dinkum Assorted Biscuit Factory are battling to keep the biscuits baking. For these ordinary Aussie women in a town devoid of men, life is challenging. Not only are they fighting to save the factory machinery from being sold for scrap, they're running a 'Mum's Army' Civil Defence Unit, putting on a show for the war effort and coping with the sudden arrival of 2000 American airmen stationed just outside town. Directed by Jennie Roles with musical direction by Ron Sudden and featuring a cast of 15 local ladies, Queenscliffe Lighthouse Theatre Group's production of Dinkum Assorted opens Friday October 12th at Queenscliff Uniting Church Hall with evening performances at 7:30pm on the 12th, 13th, 18th, 19th and 20th, and 2:00pm matinees on the 13th, 14th and 20th. 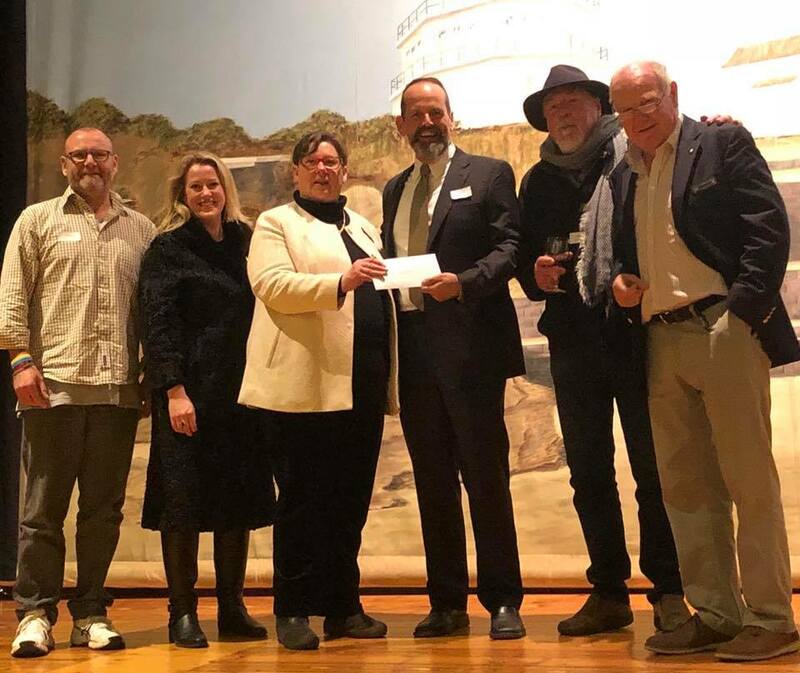 Queenscliffe Lighthouse Theatre Group is proud to continue with their presentation of Australian written plays and 'Dinkum Assorted' follows on from sold out seasons of 'After Dinner' and 'The Adventures of Peter Pan'. Founded in 2001 Queenscliffe Lighthouse Theatre Group is a volunteer run community based theatre group with a mission to create quality entertainment on the Bellarine Peninsula. To find out more about QLTG you can subscribe to our News Feed and follow us on social media at the links below, or send us a message via the Contact Us tab on this site. 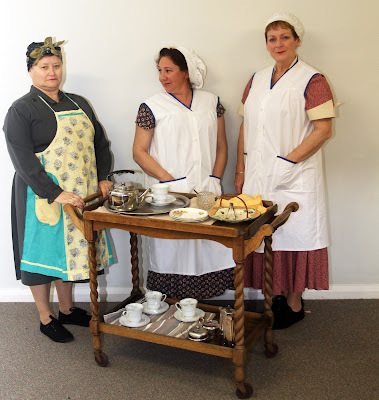 Queenscliffe Lighthouse Theatre Group is pleased to announce the cast of our October show! 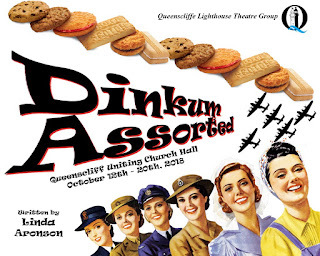 Dinkum Assorted will run from October 12 - 20 at the Queenscliff Uniting Church. We are thrilled to welcome back a number of familiar faces and introduce some new QLTG talent! Congratulations to all our fabulous cast members and we look forward to another great QLTG show! Tickets will be on sale very soon and available at this website. 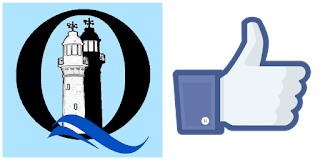 Keep up to date with all the latest QLTG news by following us on social media or subscribing to our news feed! Join our Facebook Group to interact with other QLTG fans! Following the sell-out success of After Dinner we are looking for a cast of 14 ladies of all ages for our October show, Dinkum Assorted by Linda Aronson. We are very excited to welcome Jennie Roles as the Director and welcome back Ron Sudden as Musical Director. 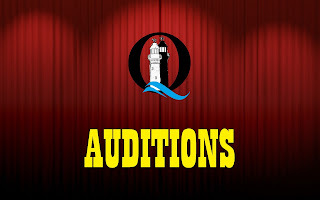 Auditions for Dinkum Assorted will be on Thursday July 19th from 7pm at Queenscliff RSL, Cnr King and Hesse St, with callbacks at the same venue on Sunday July 22nd from 1pm. To book an audition slot please call Laura Perry on 0416 150 642. For your audition please prepare a monologue of 1-3 minutes and a song from the WWII era. Please provide either sheet music for the accompanist, or a backing track on a suitable playback device. In a little outback Queensland town during World War II, almost all the men are away overseas leaving 15 very different hardworking women and Rita the Nanny goat to save the local Biscuit Factory, organise ‘Mum’s Army’ Civil Defence Unit, cope with the fact that two thousand US airmen have just been stationed outside town and put on a dazzling all taping show for the War Effort. 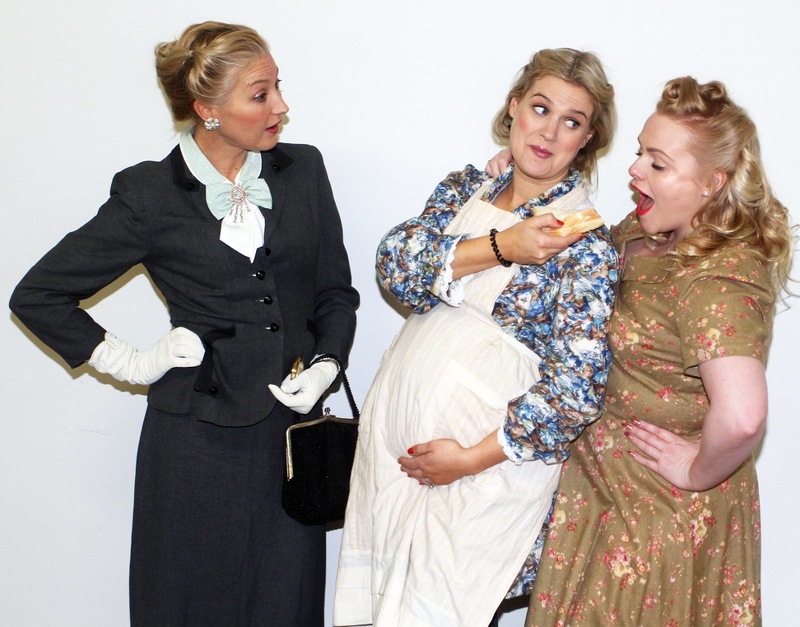 Be prepared to laugh, cry at this very funny musical comedy about a group of women striving for personal and professional freedom against the backdrop of a changing world. Ladies find your tools, get your vocals warmed up and dust off your tap shoes we are looking for 15 ladies of varying ages to stage this wonderful Australian play by Linda Aronson. Each Lady is as different as the biscuits you will find in assorted packs of biscuits, some sweet, some savoury depending on their age and life’s experiences. 15 women aged from around 17 to 70 with the ability to sing and tap dance (or fake it) required. Elegant, well-spoken, intense woman attempting to get custody of her only daughter. Joan has only just moved to town and started work at the factory. Larger than life tea lady of the factory. The lady who knows all the gossip. Connie is originally for the North of England and not always popular with the other ladies. Newly widowed. 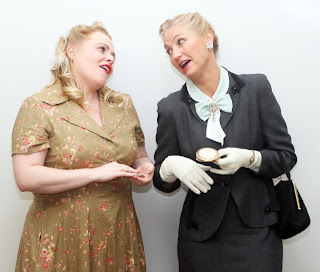 Millie cannot accept the news of her husband’s death as truth. Forewoman of the Wafer biscuit department. Forceful take charge character. Vi has stars in her eyes and is going to be a star in Hollywood one day (or maybe Tamworth). Vi’s best friend she tries to keep up with Vi’s theatrical expectations but she is not that ambitious. A woman who tells it like it is and is not afraid to make sure the young ones know it. A tall and imposing woman. Little Beat’s best friend. The perpetual victim who is nobody’s fool. The hard working straight talking forewoman of the cream biscuit department. The extremely pregnant woman who can fix anything mechanical. After Dinner - 4 Shows SOLD OUT! Friday June 29 - SOLD OUT! Saturday June 30 - SOLD OUT! Thursday July 5 - Still Available! Friday July 6 - SOLD OUT! Saturday July 7 - SOLD OUT! Four of our five performances are already fully booked, with just over 20 tickets remaining for Thursday July 5. If you have missed out, there's still plenty to do in Queenscliff over the Low Light festival. 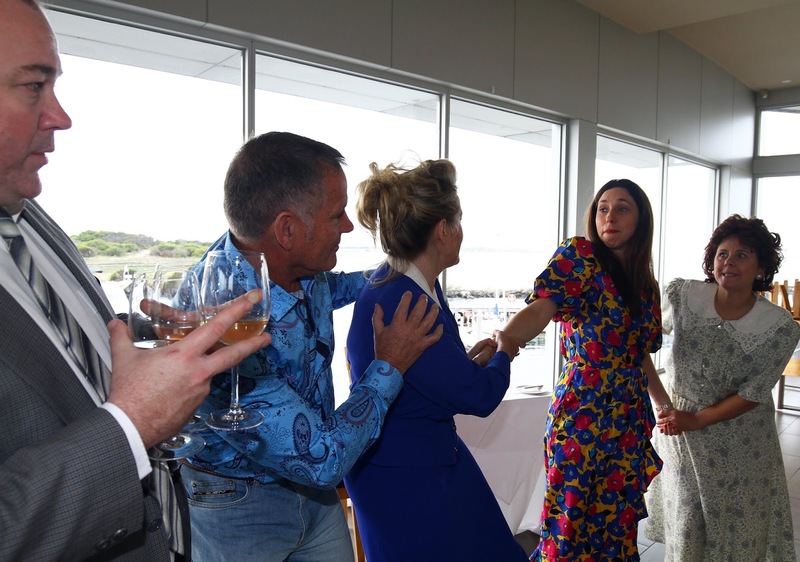 Check out www.lowlightqueenscliff.com.au for the full program! With one show about to open and another going into auditions very soon it's a busy time of year at QLTG. 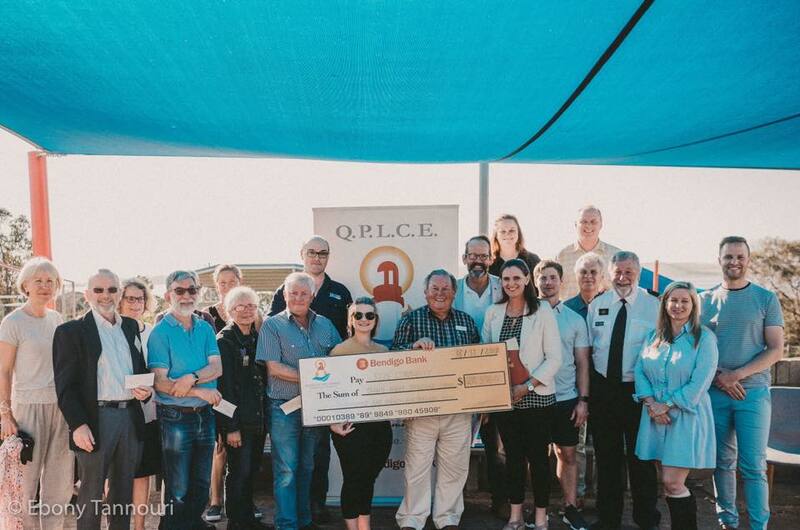 To stay up to date with all the latest QLTG news, and relive some old memories you can download our latest newsletter from this link. 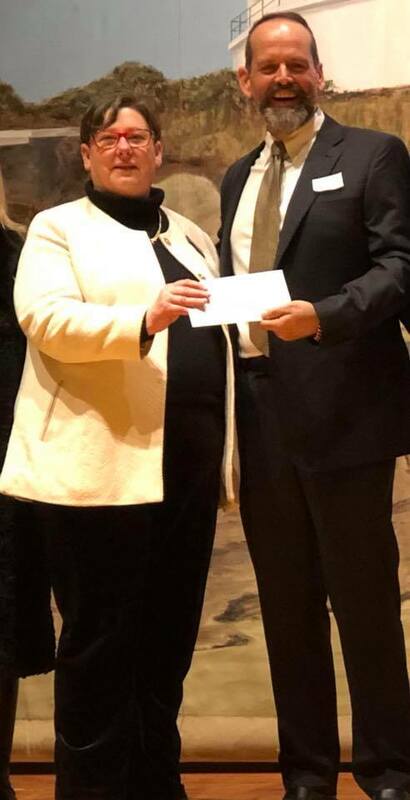 If you would like to receive our newsletter via email, you can add your email address to our mailing list by clicking the Contact Us tab and filling in your details. And don't forget After Dinner opens this week! Tickets are in high demand, with most shows close to capacity. There is still good availability on Thursday July 5. Both Saturday performances are already sold out and limited tickets remain for both Fridays. We still have good availability for Thursday July 5th but be quick! Click the Buy Tickets button to book. Sunday July 22nd from 1pm. We are looking for a cast of 14-15 women of all ages to be a part of this wonderful Australian play. 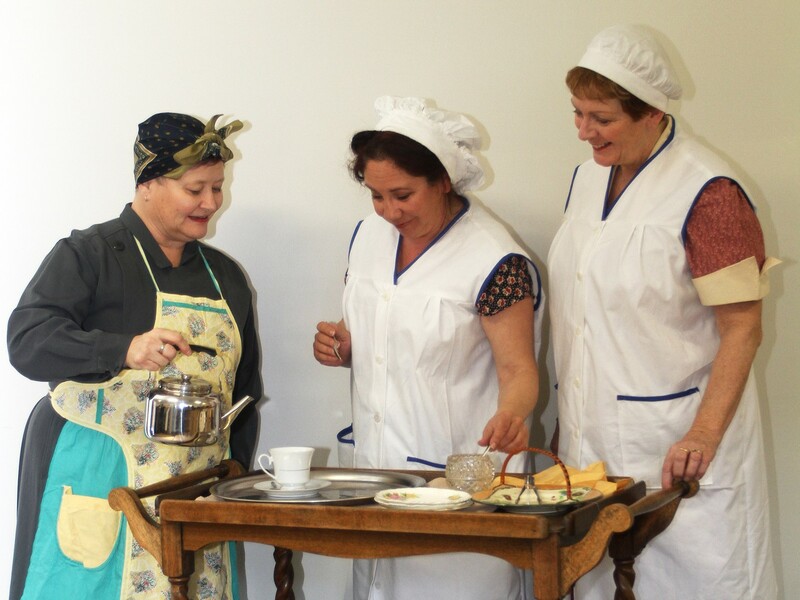 Portraying the hilarious and poignant adventures of women working in a biscuit factory in remote North Queensland during World War II. 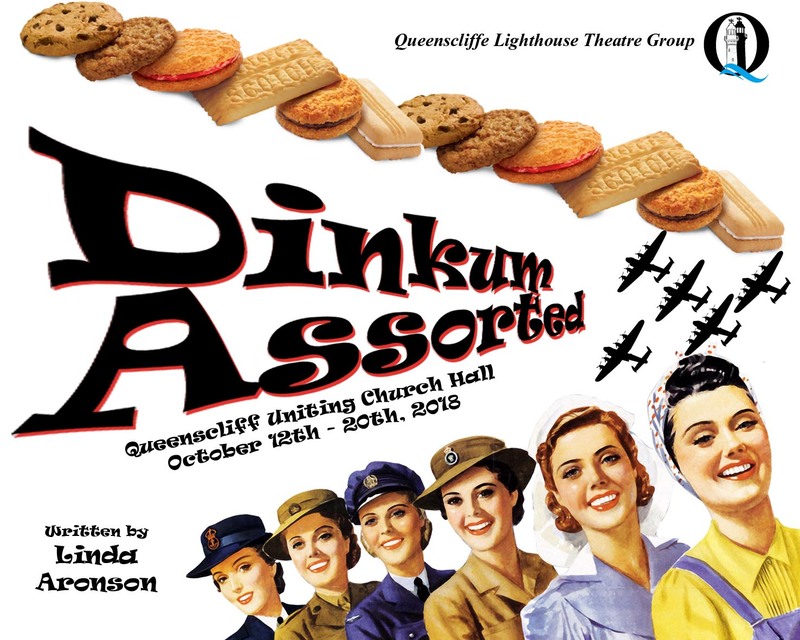 Dinkum Assorted offers fifteen female artists the opportunity to laugh, cry, sing, and tap dance as they plot to save Australia’s iconic biscuit, become air raid wardens, put on a show for two thousand American airmen, and kidnap Rita the goat, the regimental mascot. To book an audition call Laura Perry on 0416 150 642, or if you have any questions regarding the auditions please send us a message via the Contact Us tab on this website. To audition please prepare a monologue of 1-3 minutes and a song from the WWII era. Rehearsals will commence late July/early August and will be every Thursday evening and Sunday afternoon. If you are unavailable for any rehearsal dates please make this known at the auditions. Opening night is Friday October 12th, with closing night on Saturday October 20th. Production week commences Sunday October 7th, Cast will be required evenings and weekends throughout the production period concluding with the bump out on Sunday October 21st. Ladies, we'd love to hear from you! Dinkum Assorted is a fabulous opportunity for actors, singers and tap dancers of all levels of experience from the beginner to the expert. Queenscliffe Lighthouse Theatre Group is a small local community theatre group based on the Bellarine Peninsula. Founded in 2001 with a long history of successful shows we are sure that Dinkum Assorted will be our next success story, and we would love for you to be a part of it.